Snorkeling is arguably one of the most enjoyable activities that you can do during a tropical vacation. Who doesn’t want to live out their dream of being Ariel for a day? But due to pollution and an influx of tourists, some popular snorkeling destinations end up being more sad-bleached-corals than underwater kingdom. However, if you do a little research (don’t worry, we did it for you) you can find snorkeling sites that are still relatively unscathed and gorgeous. Here are five of our favorites. Also known as Four Kings, Raja Ampat is a chain of islands located just off the coast of Indonesia’s West Papua province. With over 500 species of coral and more than 1,500 species of fish, Raja is one of the most marine biodiverse places on the planet. Because of its remote location, it’s very out-of-the-way for most travelers, so it’s not as touristy as some other top snorkeling destinations. You won’t have to worry about bumping into other snorkelers as you would in more overcrowded areas. 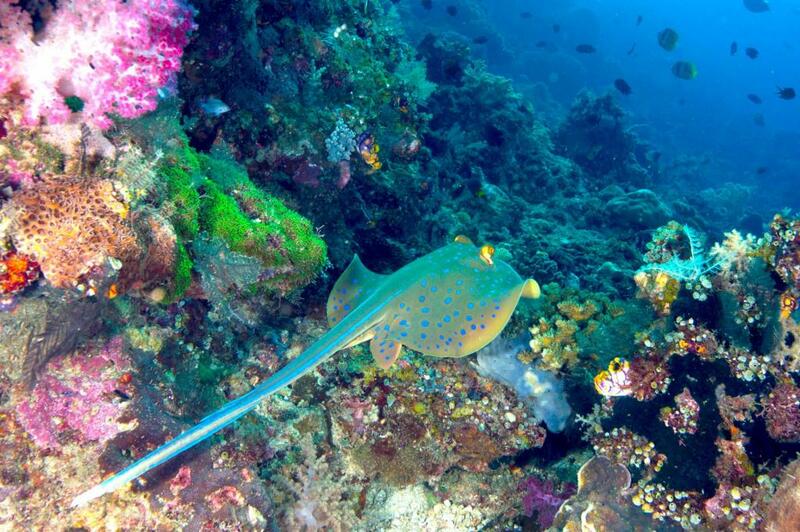 Expect to see many colorful reef fish and bright-blue starfish. If you’re more interested in spotting larger marine mammals as opposed to colorful reefs and tropical fish, consider heading to the Galapagos Islands for some serious underwater sightseeing. Here, you’ll meet plenty of turtles, penguins, dolphins, sea lions and even sharks (from a safe distance). The Galapagos Islands are located off the coast of Ecuador and because of the remote location of this island cluster, marine life tends to be pretty friendly and approachable. 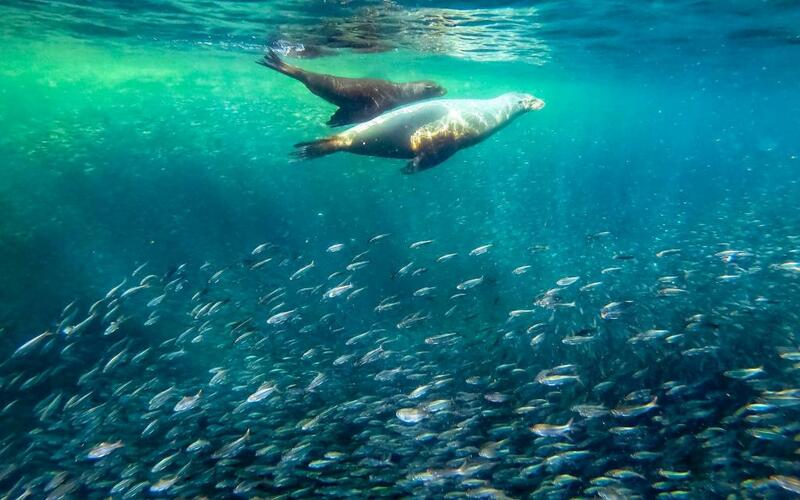 Don’t be surprised if a friendly sea lion wants to play with you while you’re snorkeling. Silver Bank is a submerged bank in the Atlantic Ocean that’s just north of the Dominican Republic and southeast of Turks and Caicos. 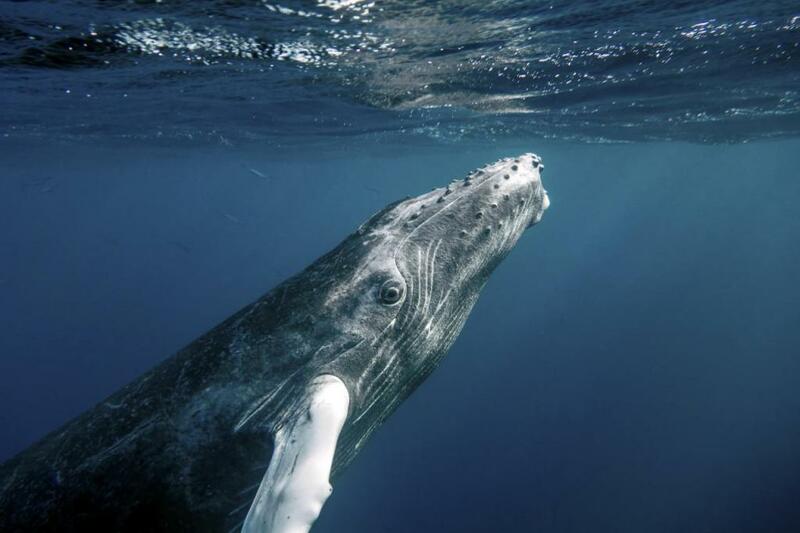 This is one of the only places in the world where snorkelers can swim alongside humpback whales in their natural habitat. Since Silver Bank is located in a relatively shallow stretch of the Carribean Sea, it’s off limits to large ships making it a natural mating and birthing ground for the majestic humpback whale. You may even be lucky enough to meet one of their newly-born babies! 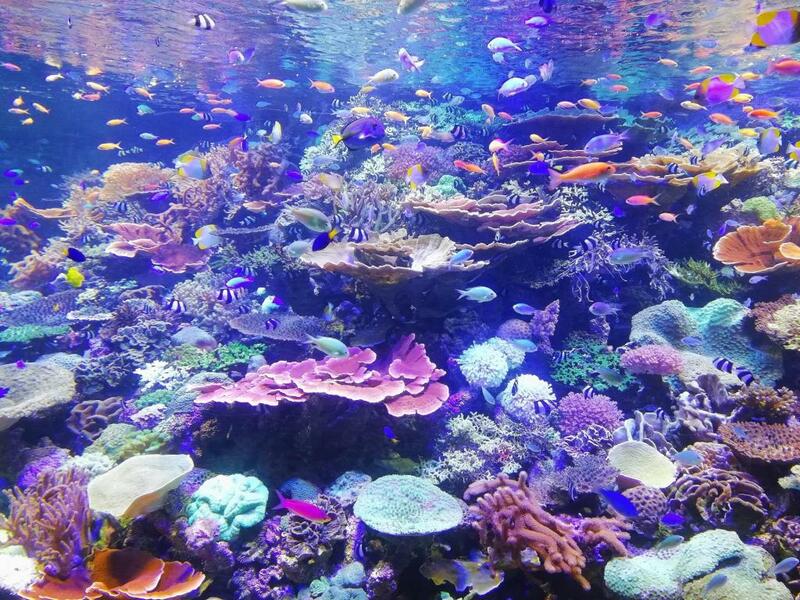 You’re probably not surprised to find the Great Barrier Reef on this list, after all it’s a very popular destination for snorkeling enthusiasts all over the world. But it’s popularity doesn’t come without merit. The Great Barrier Reef is made up of 2,900 individual reefs and stretches for more than 1,429 miles making it the world’s largest coral reef ecosystem. It’s so big that it can be seen from outer space! Many vulnerable and endangered species live here, including several species of whales and dolphins, thousands of different fish and saltwater crocodiles. Are you an adventurous soul? Then you’ll want to head to this quaint island that’s located about 120 miles northwest of Cancún. 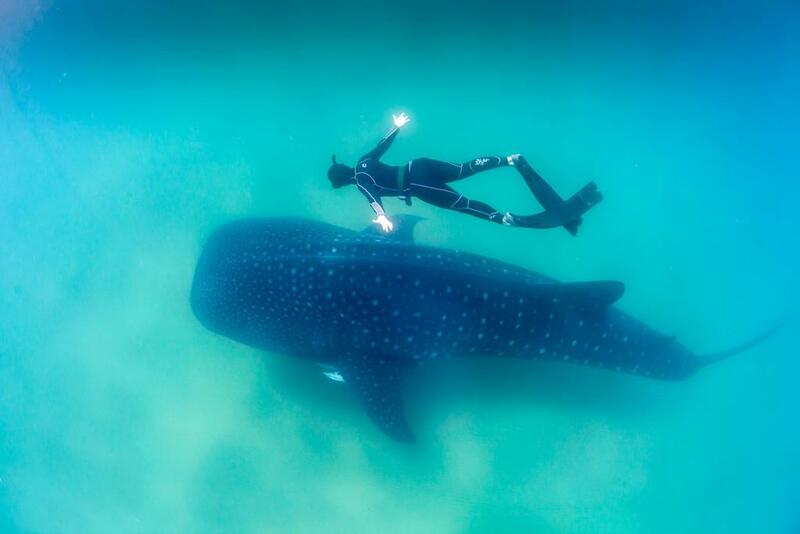 If you go there during the summer months between mid-May and mid-September, there’s a good chance that you’ll have the opportunity to swim with a whale shark — yep, you read that right. Although these giant fish can grow to be 60 feet in length, they pose no danger to humans. Still, we can imagine that swimming next to a creature this size might be quite terrifying, although equally, if not more, awe-inspiring. Providing you with interesting data and facts related to the development of the current events in West Papua. © 2017 WESTPAPUAN.ORG, INC. ALL RIGHTS RESERVED.